Money is one of the most sensitive topics, especially when friends are involved. You may feel utterly awkward when one of your desperate friends ask you to lend some money. Well, lending money to a friend is fine. What if you don’t see a dollar come back even after several months? Getting the money back can be a difficult task. Usually, you will feel awkward about asking your friend for paying you back, because you don’t want to scratch your friendship. What do you do to get the money from a friend who hasn't paid you back? 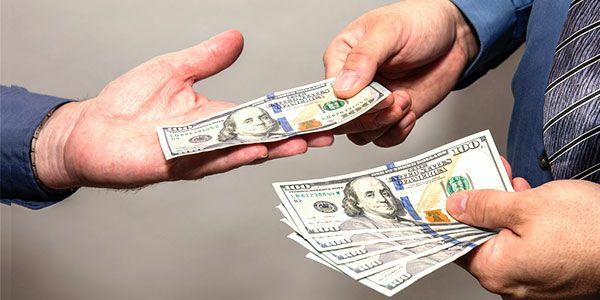 How to ask friends to pay you back without harming friendship? This article can be your savior. Read the article to get the answers. You can send an email or text your friend regarding the money, but it can sound rude. Instead of giving indirect notification, try to meet in person. Approach politely about the money. Tell t1hat you are really looking for the money now. Your friend will feel comfortable and tell the real reason for delaying. So meet over a coffee and talk about this topic to get the money back without making any fuss in your friendship. Sometimes, people truly forget that they took out money from someone close. Usually, it happens when the amount is small or the person is staying far away from you. Thus, you can give a polite and lite reminder while talking on the phone. Ask your friend when is the best possible time he/she can pay you back. While talking, you can ask “Hey, do you remember the money I lent you?” Don’t forget to add a smile while giving the reminder. It will help the person to understand that you are not very serious. Usually, people borrow money when they are in need urgently. So, if the reason for borrowing was an emergency or illness, then poke your friend to get an update about the situation. Ask whether or not he/she is doing well or the money need is over. This topic will help your friend to remind about the debt that he/she owes you. This trick will work if the amount is small. Ask your friend to pay for your drink or meal at the next meeting or gathering. By doing so, your friend can repay the debt that he/she owes you. But, make sure you approach your friend politely for buying your meal or drink at the gathering. If the amount you lend to your friend is hefty, then give your friend an installment payment offer. It will help you to get back the amount as well as help your friend to get a chance to pay the amount with ease. Is your friendship with this person really mean a lot to you? Is your friendship with this person priceless? If the answer is “yes”, then forgiving the debt will be the only option. If you really want to cherish your friendship with the person you lent money, then don’t make the relationship bitter by asking your friend for paying you back. Let him/her repay the money normally. Again if the friendship is really valuable for you, then consider gifting the amount. If you think your friend is unable to pay you back, then forget about the money and move on. Giving is a noble gesture, so let it happen this way. Lastly, since money is a sensitive topic that can make a sweet relation sour, you should think twice before lending money to a friend who is very close to you. You should help your friend who is in urgent need in other ways. If you have no other option than lending money to your best friend, then try to make the process less complicated beforehand. Ask our friend that you are lending the money right now, but you should get it back within a particular time. Mention the time before lending the money. If you feel your friend isn’t in the proper financial condition to repay you, then ask your friend that you don’t want the money back. You are giving him/her the money as a gift. If the person, who is borrowing the money from you, is not so good friend but is in your friend circle, then either deny it or make an agreement about the repayment at the time you lend him/her the money. Other than the above 7 points, there are 3 more points that can help you get the money back from your friends. For example, [hash linking] you can ask your friend to give you a free ride, you can have a frank discussion about the loan, and take legal steps against your friend. These points have been explained by Good Nelly in one of her previous articles. See, this kind of awkward money topics are obvious in life. You can face it in your life at any time. So, be prepared for it. Be clear about all the conditions that you can give yourself or to your friend who asks you to lend money. It will help you to maintain the friendship while dealing with money easily.